Mexican wedding cakes have a long and detailed history, and although they are thought to originate from the Arab culture in Medieval times, it is not clear how they managed to spread throughout the Western world. Currently, Mexican wedding cakes have a variety of names and forms depending on the country in which they are found. For example, some of the names of these cakes include Bischochitos in Mexico and Cuba, Kourabi in Greece, Polvorones in Italy and Spane, Rohlichky in the Ukraine and in the United States they are known variously as Sand Tarts, Butterballs, Moldy Mice and Sandies. Wherever these cookies are found and whatever they are called, however, they are universally enjoyed and have a role to play in countless special occasions to add some sweetness and joy. 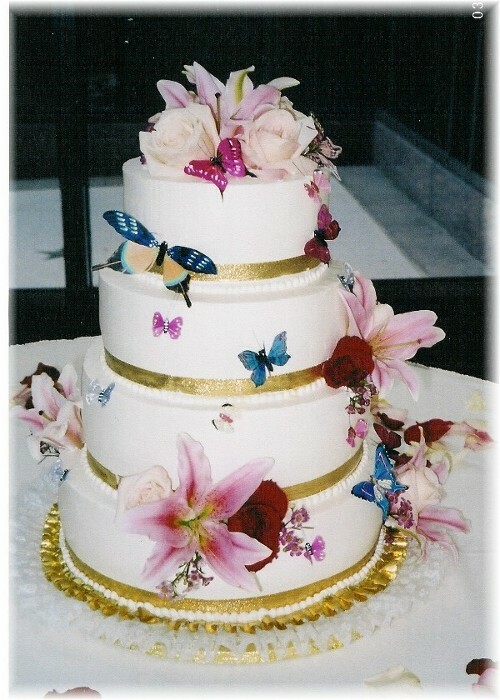 The expensive, good quality ingredients used in Mexican wedding cakes, such as rich butter, fine sugar and expensive nuts were linked to the culture of keeping the very best quality food to be enjoyed on special occasions. When they were first invented in the Arab world in Medieval times, Mexican wedding cakes were flat, sugar cakes to which almonds or other nuts, as well as a variety of fragrant spices such as cinnamon and anise were added. As the recipe spread to Europe, more spices were added and the cakes quickly became a popular treat. It is thought that the Moors brought the tradition of these cakes to Spain and the rest of Europe, while Spanish explorers brought knowledge of this culinary delicacy to the Americas as early as the 16th century. However it was only in the 1950s that the first recipe for Mexican wedding cakes made with modern ingredients was published in an American recipe book. Before this time, these treats were not known as Mexican wedding cakes, but rather as any of the other names mentioned above, depending on their country of origin. It is not known precisely why this name came about, but it may have something to do with the Cold War – Russian tea cakes are very similar to Mexican wedding cakes, and during the Cold War America was reluctant to name a popular sweet treat after Russia due to the strained political relationships between the two world powers. This could have been the reason for coming up with the name Mexican wedding cakes. Whatever their history, it cannot be denied that Mexican wedding cakes are a delicious addition to any wedding or special occasion.